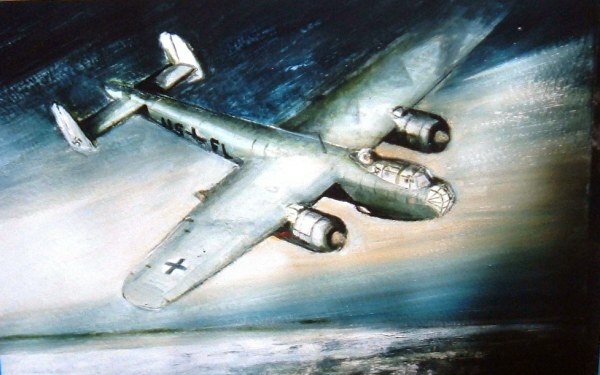 At 11.23 pm on 11 May 1943, a searchlight on Lowestoft sea front illuminated a very low-flying Luftwaffe Do 217 bomber approaching from the East. It is assumed that either the pilot was blinded by the glare of the searchlight beam, or was attempting to evade it when the aircraft crashed into the sea only 300 yds off Ness Point. There were no survivors. Doomed: The Do 217 about to plunge into the sea off Lowestoft. An artist's impression of the incident by John Reeve of Mettingham. One of the four German aircraft lost on operations against Britain that night was a Do 217E-4, Werk-Nr.6163, U5 + FL from unit 3/KG.2. It had been despatched on a mine-laying sortie off Cromer, and the pilot, Leutnant Eberhard Pleiss, was on his first operation. 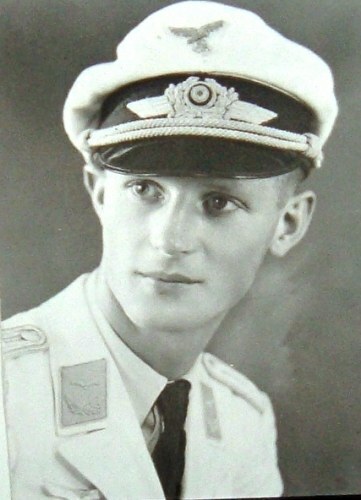 First and last: Young Eberhard Pleiss's first operational sortie with the German Luftwaffe proved to be his last act. On 29 June 1943, the decomposed body of a Luftwaffe NCO was washed up on the North Beach at Lowestoft. His identity disk bore the No. "57359/227" and the Germans identified the airman as Unteroffizier Wilhelm Stocker, the Beobachter (Observer) aboard Do 217 U5 + FL. He was buried in Section 24, Grave No.531 at Lowestoft Cemetery. 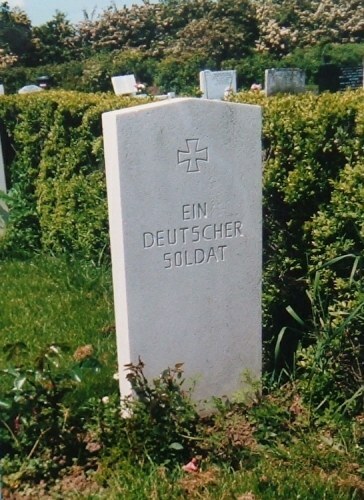 It was not until November 1948 however, that the (then) Imperial War Graves Commission positively identified Stocker through captured German records, and were able to place a name on his grave marker. A month earlier, on 30 May 1943, the body of another unidentified German airman was washed up at Gunton. No identity disks or papers were found on the body , but his uniform had the rank insignia of a Leutnant. He was buried in Section 24, Grave No.522 on 2 June 1943. In 1992, one of Eberhard Pleiss's sisters, Erica, was traced in Australia. She knew of the grave of Wilhelm Stocker from her brother's crew at Lowestoft, but not the unidentified Leutnant. 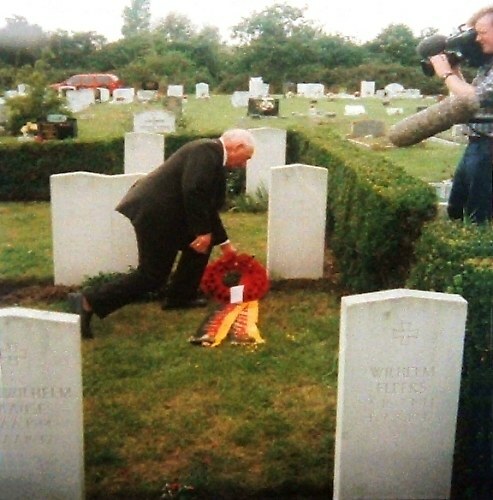 On 11 May 1993, on the 50th anniversary of the loss of their brother, Erica, and her sister Gisela from Germany stood at the grave of the "unknown German airman" at Lowestoft Cemetery. They remain convinced the man in Grave 522 is their brother Eberhard. 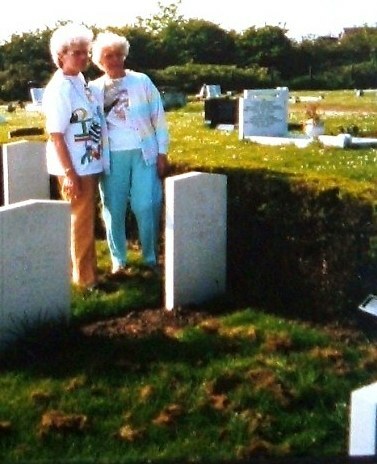 Reunited: Erica and Gisela, sisters of Lt Eberhard Pleiss, stand at the grave of the unknown German airman on 11 May 1993 - 50 years to the day after their brother's last flight. "In memory of all our fallen and missing comrades 1939-1945"
"Also in memory of all the lost members of the RAF 1939-1945"
Lowestoft has the largest group of WW 2 German graves (11) in Suffolk. Many others were exhumed in the 1960s and transferred to the German Military Cemetery at Cannock Chase, Staffordshire. For further details on German War Graves in the region, please contact: Bob Collis via the website.